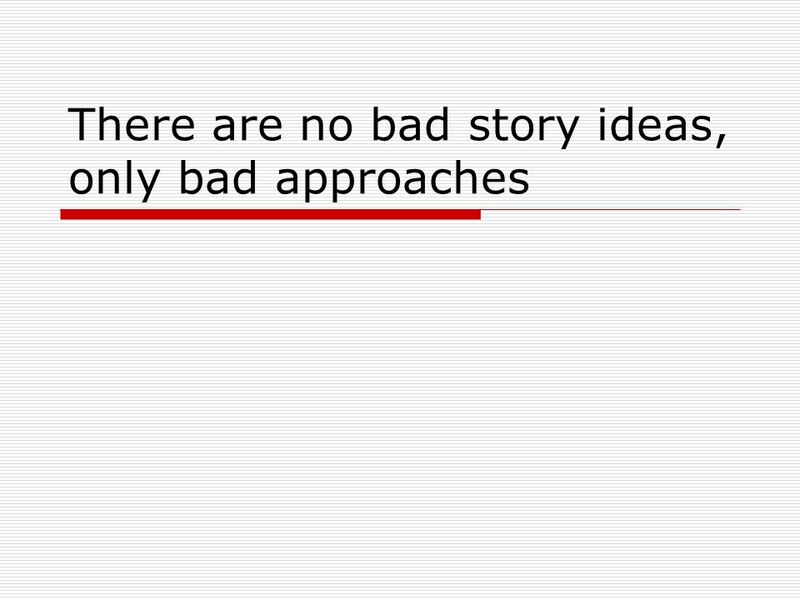 GETTING THE STORY 1.What makes a story? 2.How do you get the story? 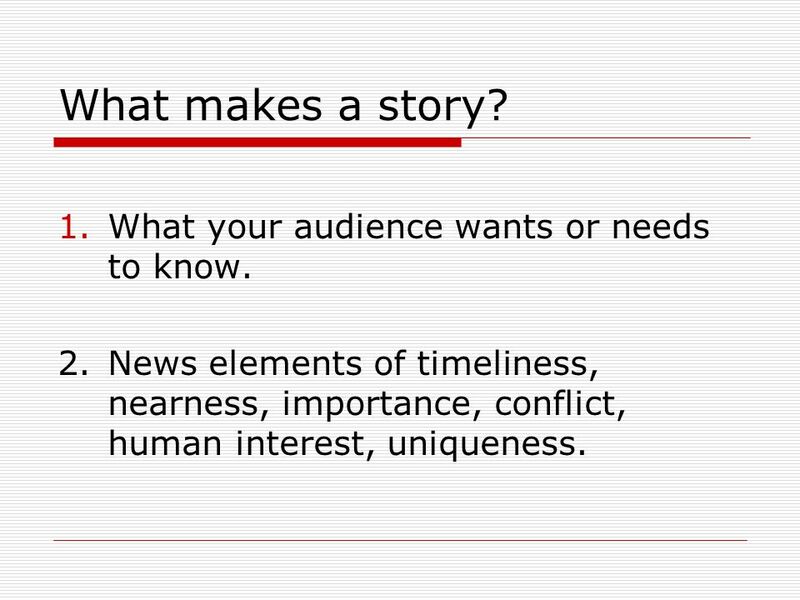 1 GETTING THE STORY 1.What makes a story? 2.How do you get the story? 2 What makes a story? 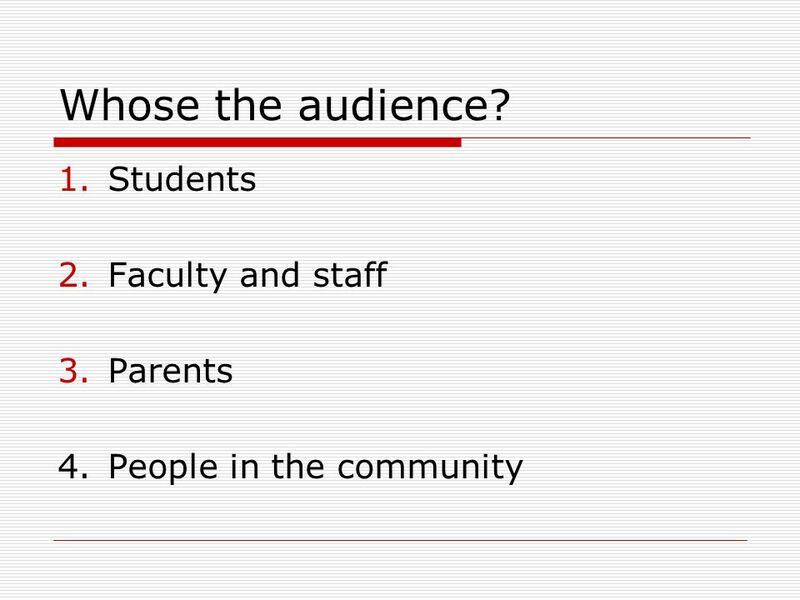 1.What your audience wants or needs to know. 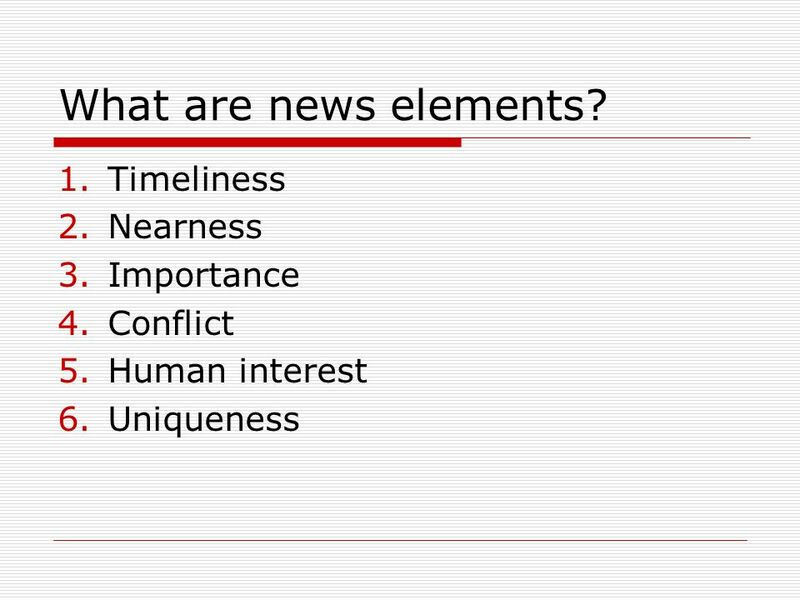 2.News elements of timeliness, nearness, importance, conflict, human interest, uniqueness. 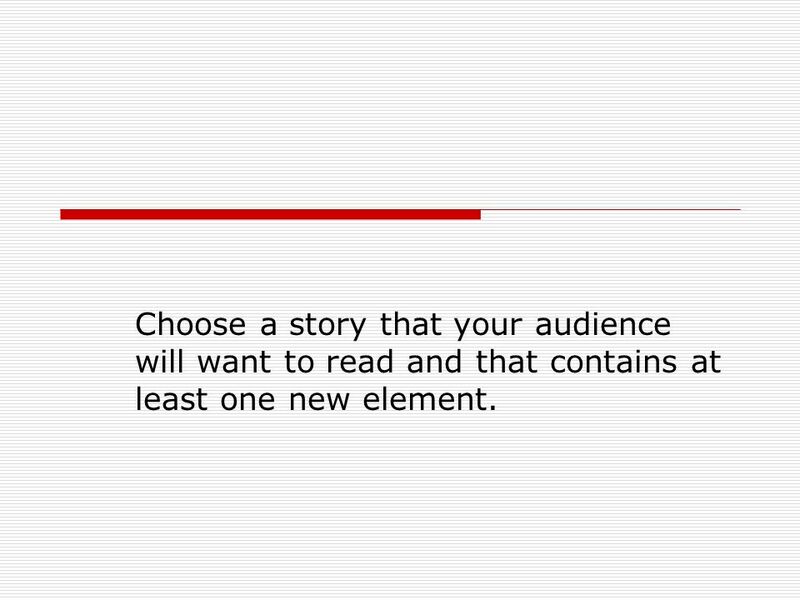 5 Choose a story that your audience will want to read and that contains at least one new element. 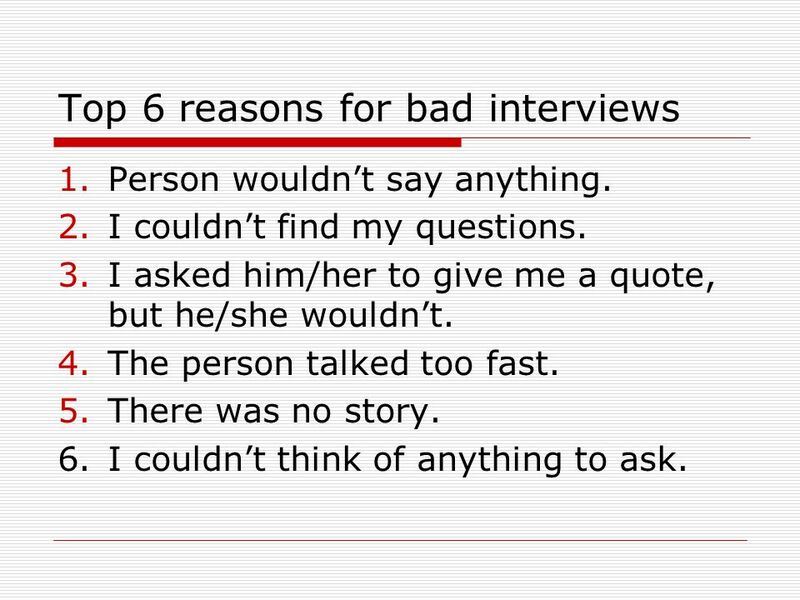 9 Top 6 reasons for bad interviews 1.Person wouldnt say anything. 2.I couldnt find my questions. 3.I asked him/her to give me a quote, but he/she wouldnt. 4.The person talked too fast. 5.There was no story. 6.I couldnt think of anything to ask. 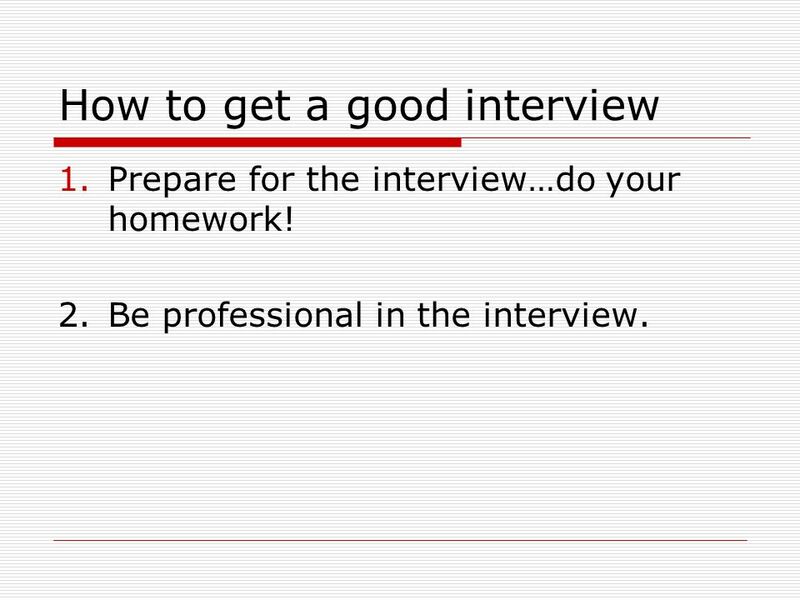 10 How to get a good interview 1.Prepare for the interview…do your homework! 2.Be professional in the interview. 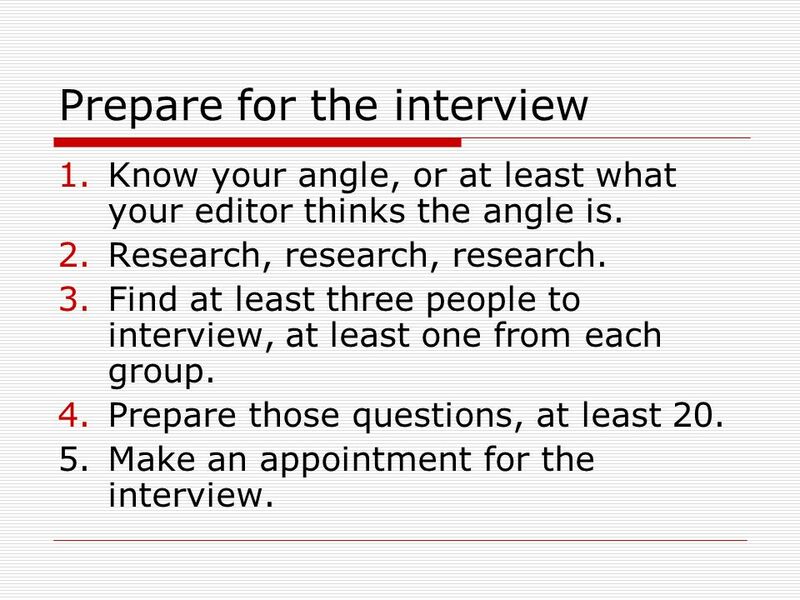 11 Prepare for the interview 1.Know your angle, or at least what your editor thinks the angle is. 2.Research, research, research. 3.Find at least three people to interview, at least one from each group. 4.Prepare those questions, at least 20. 5.Make an appointment for the interview. 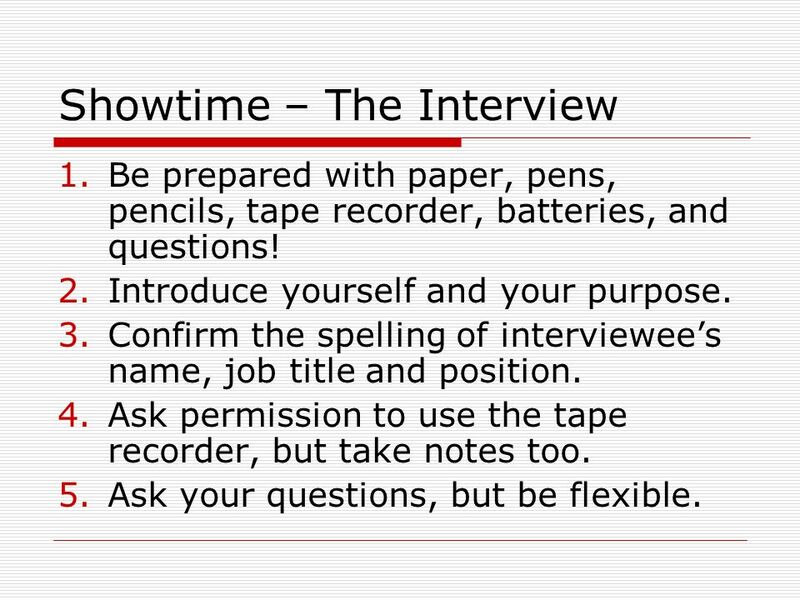 13 Showtime – The Interview 1.Be prepared with paper, pens, pencils, tape recorder, batteries, and questions! 2.Introduce yourself and your purpose. 3.Confirm the spelling of interviewees name, job title and position. 4.Ask permission to use the tape recorder, but take notes too. 5.Ask your questions, but be flexible. 14 6.Maintain eye contact and give positive feedback (Um, uh-huh). 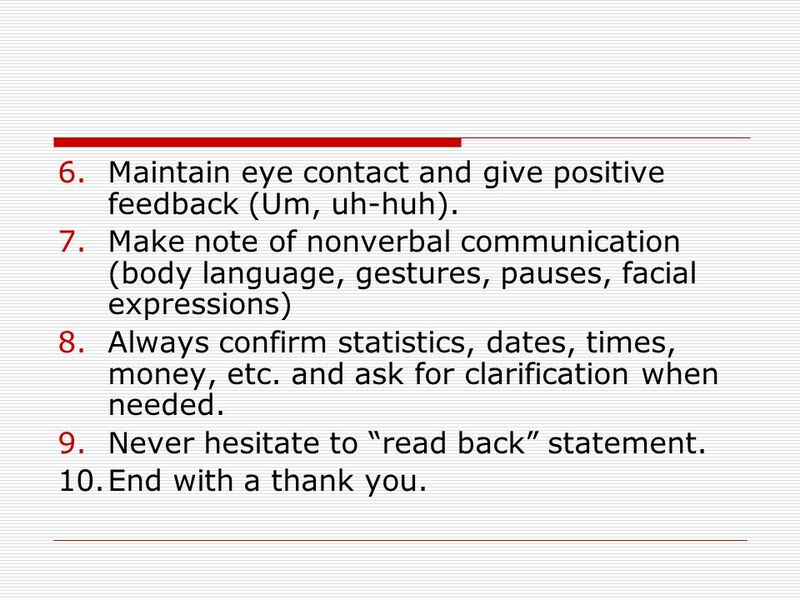 7.Make note of nonverbal communication (body language, gestures, pauses, facial expressions) 8.Always confirm statistics, dates, times, money, etc. and ask for clarification when needed. 9.Never hesitate to read back statement. 10.End with a thank you. 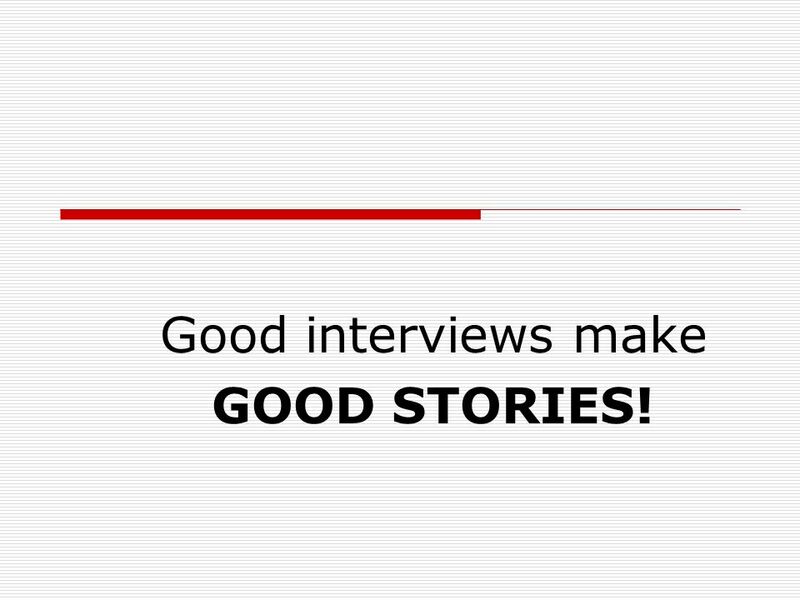 15 Good interviews make GOOD STORIES! 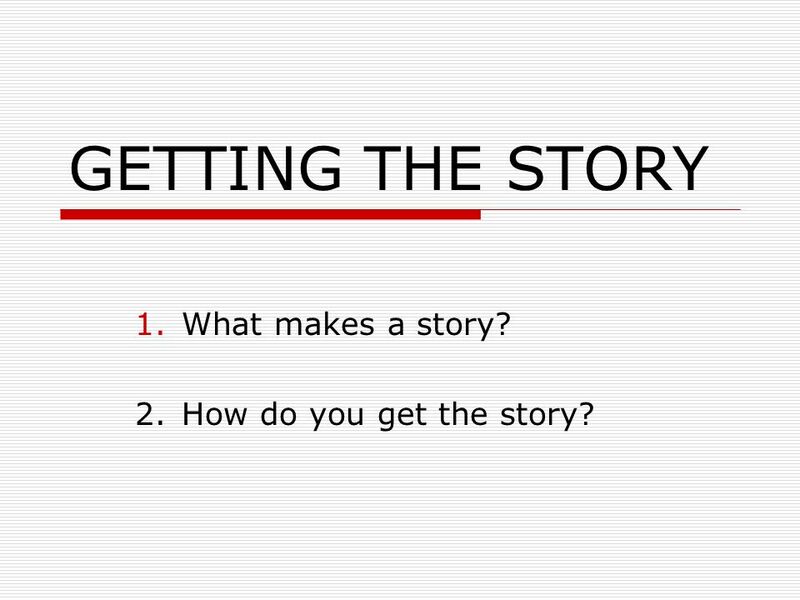 Download ppt "GETTING THE STORY 1.What makes a story? 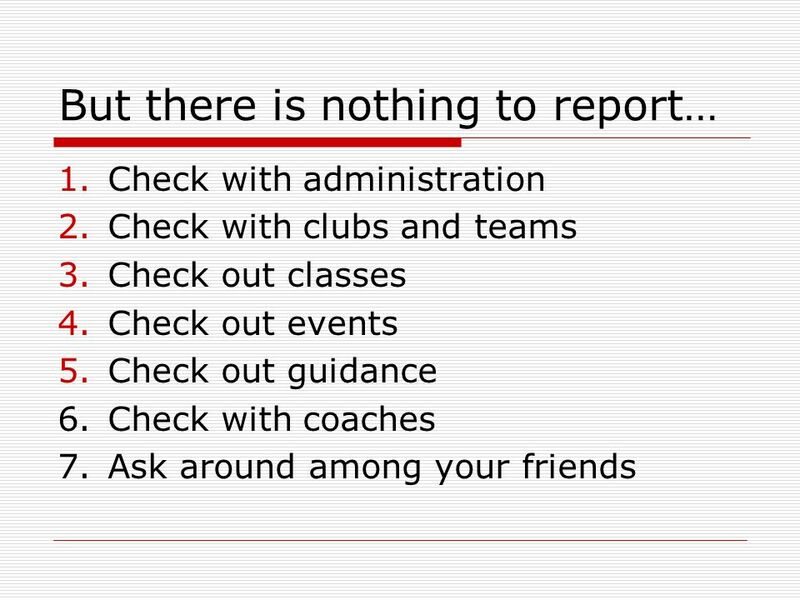 2.How do you get the story?" Can we talk? 10 keys to get the most from your interviews. Conducting an interview Read this PowerPoint and take notes as needed. 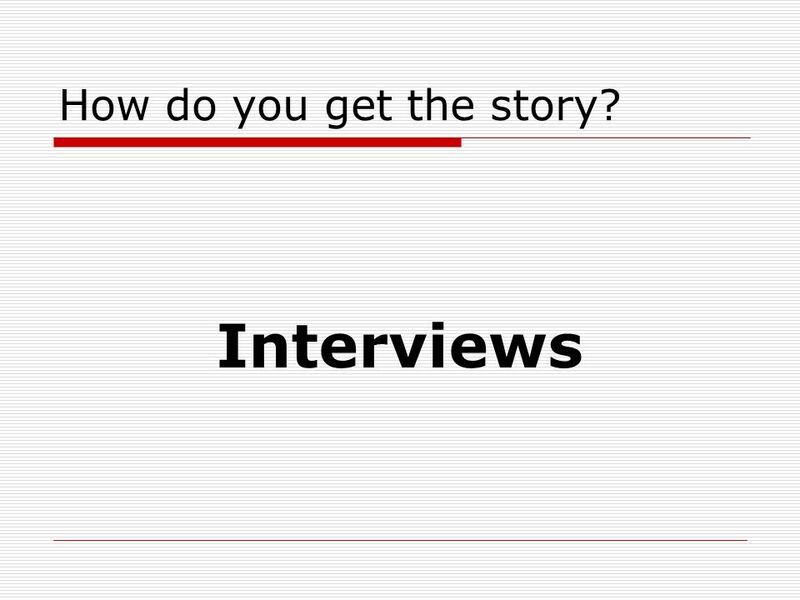 Develop questions for your interview. Set up appointment. (See me if you need help. On the Telephone! On The Telephone. 11 Interviews © Goodheart-Willcox Co., Inc. Permission granted to reproduce for educational use only. 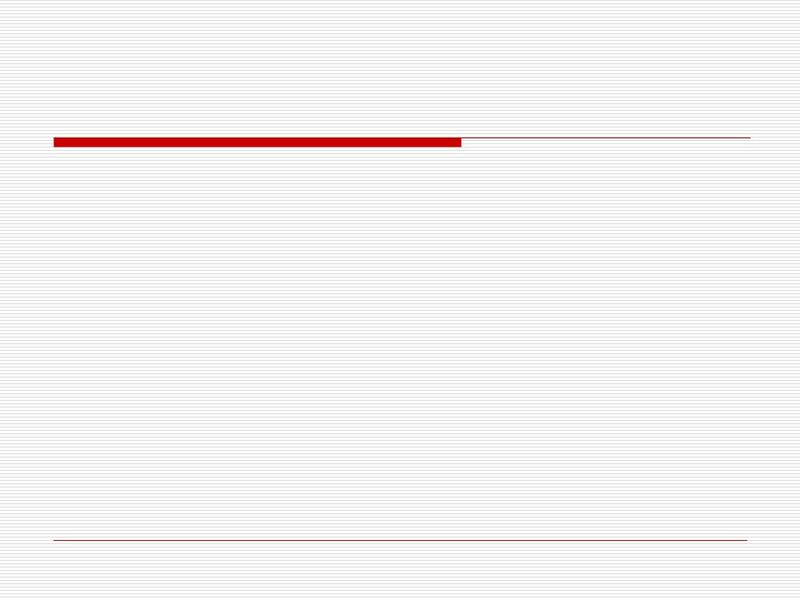 Explain the purpose of gathering background before. Interest Approach  Present to the class a scenario involving a problem at a fictional company. An example might be a situation in which the wrong item. + Questions & Interviews What you should know. 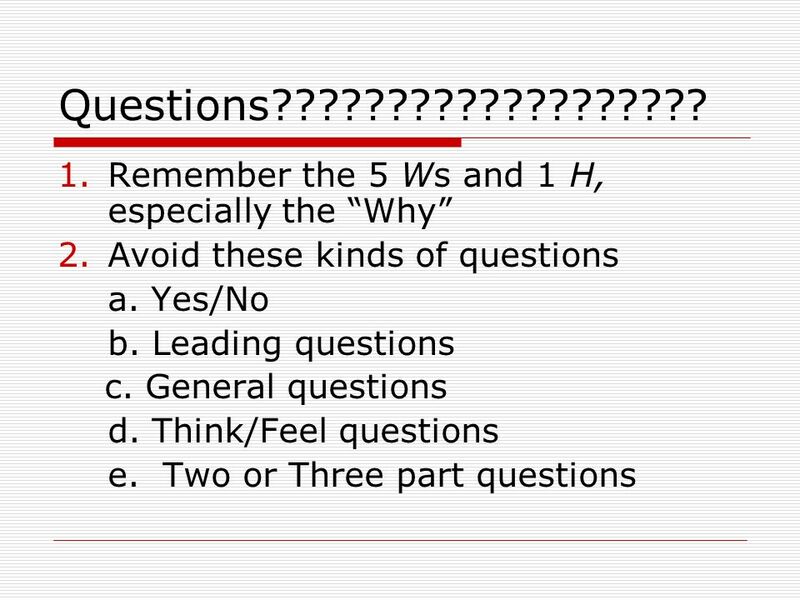 + Types of Questions 6 Basic 2. Informational Interviewing Presented by Clark University Career Services. 4-H/Tropicana Public Speaking Program 1. Why Public Speaking?  Allows you to express yourself.  Influence others.  Is a skill you will use throughout. 101 Ways to Improve Your Communication Skills. Objectives Communication Techniques Listening Speaking and Listening Speaking and Writing General Tips. What makes a great interview? Depth Interviews. Funnel Method Funnel Method let respondent do all the talking let respondent do all the talking can be a diagnostic interview can be. Interviews Most journalism starts with interviews. Mr. Katopodis Digital Journalism. Presenting Your Message Introduction and Overview  Stage fright  Practicing your speech  Guidelines for delivery Visual aspect Auditory aspects. Focus Groups for the Health Workforce Retention Study. 1 Interviewing Media Writing I. 2 Interviewing Key to success for a good communications professional. Two main parts –Asking good questions –LISTENING!!! !